Changed from area of affect damage to high single target damage with a small amount of splash damage. Developer’s Note: Previously this ability did area damage, which meant the average damage per enemy unit was relatively low and it rarely led to killing blows. Now the target unit takes the brunt of the attack and is more likely to be killed. No longer reduces the number of troop groups that Rufio can lead into battle. Damage multiplier slightly adjusted. 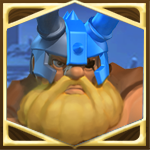 Developer’s Note: Previously players would hesitate before learning this ability because it reduced the number of troops that could be deployed. Removing that downside resolves this problem. Unlocks at level 4 (was 5), freezing damage slightly increased, costs 3 mana (was 2). Unlocks at level 5 (was 4). New ability, unlocks at level 10, replaces “Double Cast”. Allows all of Avril’s spells to be cast twice, and when upgraded, reduces the cooldown time of Avril’s spells. The chance of an attack splitting into multiple flares has been reduced to 25% from 100%. Fireball damage increased, now costs 3 mana (was 2). New ability, unlocks at level 5, grants a damage over time burning effect to all of Vallari’s fire attacks. Developer’s Note: Previously, Vallari’s damage output was a bit too high, affecting the overall balance of the game. To address this, we weakened her “Crackling Flames” ability accordingly and added a new “Burning” ability to accentuate her defining characteristic. New ability, unlocks at level 2, costs 1 Energy. Avalon summons a group of Archers to assist in battle. The higher the level of your stronghold, the higher the level of the Archers summoned. The greater Avalon’s Command, the greater the Power of the Archers summoned. New ability, unlocks at level 3. When Avalon takes the battlefield, he blows his War Horn, increasing the attack speed of nearby allies. New ability, unlocks at level 5. Avalon leads an extremely disciplined army. When he is on the battlefield, all allied humanoid units have their max hit points increased. Developer’s Note: To underline Avalon’s leadership role, we replaced “Focus Fire” with “Ardent Aura”. Unlocks at level 10 (was 3). Can be upgraded to increase the Bronze supply cap of your army. Because “Shared Ambition” is being removed, after the update any Peasants previously summoned by that ability will automatically be removed from your army. The gold value of these troops will be returned to you in the mail. Unlocks at level 1 (was 5), can be casted for free (used to cost 1 Energy). In battle, Strategic Retreat has a standalone cooldown timer. Developer’s Note: You can now use Strategic Retreat whenever you see fit, without having to worry about an energy cost. This change is intended to underline the strategic purpose of this ability. Elena summons a group of Lancers to assist in battle. The higher the level of your stronghold, the higher the level of the troops summoned. The greater the hero’s Command, the greater the number of troops summoned. New ability, unlocks at level 10. When Elena is deployed, the magic damage taken by all allied units is reduced by a certain percentage. Greatly increased the health of the Mana Barrier. Costs 5 mana (was 3). Changed from granting invincible defense to reducing damage received by 95%. Developer’s Note: Virion was too powerful with his invincible shield bubble active, which proved too large a challenge for rectifying game balance. This change remedies that issue. Costs 3 mana (was 1). Virion summons a group of Footmen to assist in battle. The higher the level of your stronghold, the higher the level of the troops summoned. The greater the hero’s Command, the greater the number of troops summoned. Greatly reduced the damage mitigation effect during morale boosts. Developer’s Note: Crusader Shield was too powerful during morale boosts, affecting the balance of battles. To address this, we decided to weaken the effect of this ability. Costs 4 mana (was 3). Greatly increased the Treant’s health and damage. Increased the damage dealt, and greatly increased the damage dealt to fortifications. Increased the damage radius while slightly reducing the damage dealt. Costs 4 mana (was 3). Unlocks at level 2 (was 3). Unlocks at level 3 (was 4), and can now be casted for free (was 2 mana). Greatly increased the summoned Skeleton Titan’s health and damage. Acolytes, Occultists, Warlocks, and Pikemen have their damage and max health increased. New ability, unlocks at level 5. Gazul’s immortal power grants extra power to undead units around him. When he is on the battlefield, all allied undead units have their max hit points increased by a certain percentage. Slightly increased the damage dealt. Costs 5 mana (was 3). Developer’s Note: As the only necromancer hero, we wanted to highlight Gazul’s ability to lead undead armies. To achieve this, we added the “Skeleton Mastery” and “Immortal Strength” ability auras. At the same time, we weakened his active ability “Soulless Scourge”. Damage reduced. Costs 5 mana (was 3). Developer’s Note: As a largescale crowd-control ability with significant damage, “Tome of Creation” has a large impact on balance. After synthesizing various sources of feedback, we decided to weaken this ability. Wraxius can cast Soul Blast only after placing lanterns on the battlefield. There is no ability cooldown—as long as there are lanterns on the battlefield, the ability can be cast. Greatly increases the spirit’s damage and health. Costs 4 mana (was 3). Doubled the area covered by the web. New ability, unlocks at level 4. When Grimms is on the battlefield, the siege weapons of all races have their damage and max hit points increased by a certain percentage. Unlocks at level 10 (was 5). New ability, unlocks at level 3. When Gafgar is on the battlefield, all allied mech units have their max hit points increased. Unlocks at level 4 (was 5). Increased the damage reduction and duration. Allows all of Nora’s abilities to be cast twice, and when upgraded, reduces the cooldown time of Nora’s abilities. Greatly reduced the amount of ammo expended, reduced the damage dealt by each bullet, and when upgraded, increases the firing duration. Developer’s Note: Previously, using Firestorm would expend so much ammo that Jacques wouldn’t have enough ammo left over to get the most out of his other abilities. These changes do a lot help resolve those issues. The adjustments made to the firing time and the damage dealt by each bullet add more strategic depth by making players think more before deciding when to use. Reduced the ammo cost and slightly reduced the damage dealt. New specialty. Previously when learning “Barbaric Blessing”, the number of troops Bane could lead into battle was reduced by 1. This has now been changed into a specialty: Bane can lead only 1 troop group into battle. Unlocks at level 1 (was 2). Can now be casted for free (was 1 Energy). No longer mitigates all damage when cast, only mitigates physical damage. Unlocks at level 2 (was 1). Costs 1 Energy (was free). Damage doubled. No longer reduces the number of troops that Bane can lead into battle, and no longer increases the Energy limit. Instead, now increases Stamina and physical damage mitigation. Developer’s Note: What makes Bane special is his self-reliance and the fact that he does not need supporting troops to fight effectively. To reflect his, we made the troop reduction aspect into a specialty and increased his attributes. Теперь эта способность не наносит урон в зоне поражения, а причиняет сильный урон единственной цели и небольшой — окружающим целям. Больше не сокращает количество групп войск, которые Руфио может вести в битву. Множитель урона слегка отрегулирован. Открывается на 4 уровне, а не на 5. Урон холодом слегка повышен. Способность теперь расходует 3 очка маны, а не 2. Открывается на 5 уровне, а не на 4. Новая способность, которая открывается на 10 уровне и заменяет способность «Двойное заклинание». Позволяет дважды произносить все заклинания Аврил, а после улучшения сокращает время восстановления заклинаний. Шанс атаки несколькими огнями снижен со 100% до 25%. Урон от огненных шаров повышен, способность теперь расходует 3 очка маны, а не 2. Новая способность, открывается на 5 уровне, позволяет добавить ко всем атакам Валлари продолжительный урон огнем. Расходует 4 очка маны, а не 3. У нее больше нет способности «Зелье энергии». Новая способность, которая открывается на 2 уровне и расходует 1 очко энергии. Авалон призывает на помощь группу лучников, которые вступают в битву. Чем выше уровень вашей крепости, тем выше уровень призванных лучников. Чем выше уровень характеристики «Командование» Авалона, тем выше сила призванных лучников. Новая способность, которая открывается на 3 уровне Выходя на поле боя, Авалон дует в боевой рог, повышая скорость атаки ближайших союзников. Новая способность, которая открывается на 5 уровне Авалон командует невероятно дисциплинированной армией. Когда он оказывается на поле боя, все союзные гуманоидные войска получают бонус к максимальному количеству очков выносливости. Открывается на 10 уровне, а не на 3. Можно улучшить, чтобы повысить бронзовый показатель численности армии. У него больше нет способности «Захват ресурсов». У него больше нет способности «Средоточие огня». У него больше нет способности «Разделенные амбиции». Открывается на 1 уровне, а не на 5, не расходует энергию (раньше расходовала 1 очко энергии). Во время битвы способность «Стратегическое отступление» получает отдельный таймер времени восстановления. Открывается на 2 уровне, а не на 1, расходует 1 очко энергии (раньше не расходовала энергию). Елена призывает на помощь кавалерию, которая вступает в битву. Чем выше уровень вашей крепости, тем выше уровень призванного отряда. Чем выше уровень характеристики «Командование» героя, тем выше количество призванных юнитов. Открывается на 3 уровне, а не на 2. Открывается на 5 уровне, а не на 3. Новая способность, которая открывается на 10 уровне. Когда Елена оказывается на поле боя, все союзные войска получают на определенный процент меньше магического урона. У нее больше нет способности «Королевское сокровище». Значительно повышено здоровье барьера из маны. Расходует 5 очков маны, а не 3. Теперь не дает полной неуязвимости, а сокращает получаемый урон на 95%. Расходует 3 очка маны, а не 1. Вирион призывает на помощь группу пехотинцев, которые вступают в битву. Чем выше уровень вашей крепости, тем выше уровень призванных отрядов. Чем выше уровень характеристики «Командование» героя, тем выше количество призванных отрядов. Значительно сокращает эффект снижения урона во время подъема боевого духа. Значительно повышает здоровье и урон энтов. Повышает урон по отрядам и значительно повышает урон по укреплениям. Значительно увеличен радиус урона, слегка понижен уровень наносимого урона. Открывается на 2 уровне, а не на 3. Открывается на 3 уровне, а не на 4, не расходует ману (раньше расходовала 2 очка маны). Значительно повышены здоровье и урон призванного скелета-титана. Новая способность, которая открывается на 4 уровне. Газул специализируется на командовании войсками скелетов. Когда он появляется на поле боя, у всех союзных скелетов повышается урон и макс. здоровье. Новая способность, которая открывается на 5 уровне. Бессмертная сила Газула дарует дополнительную силу всем окружающим его войскам нежити. Когда он оказывается на поле боя, все союзные войска нежити получают бонус к максимальному количеству очков выносливости. Урон слегка повышен. Расходует 5 очка маны, а не 3. У него больше нет способности «Жатва душ». У него больше нет способности «Некромантия». Снижен урон. Расходует 5 очков маны, а не 3. Враксий может применить способность «Взрыв души», только разместив на поле боя фонари. Времени восстановления у этой способности нет: ее можно применить, пока на поле боя есть фонари. Урон и здоровье духа значительно усилены. Расходует 4 очка маны, а не 3. Размер области, покрытой паутиной, увеличился в два раза. Новая способность, которая открывается на 4 уровне. Когда Гриммс оказывается на поле боя, урон и максимальное количество очков выносливости осадных орудий всех рас повышается на определенный процент. Открывается на 10 уровне, а не на 5. Новая способность, которая открывается на 3 уровне. Когда Гафгар оказывается на поле боя, все союзные механоиды получают бонус к максимальному количеству очков выносливости. Открывается на 4 уровне, а не на 5. Снижение урона и длительность увеличены. У него больше нет способности «Элитный инструктор». Позволяет дважды использовать все способности Норы, а после улучшения сокращает время восстановления способностей. Количество используемых боеприпасов значительно сокращено, урон от каждой пули снижен. После улучшения увеличивает продолжительность огня. Стоимость боеприпасов сокращена, урон слегка снижен. Новая особая способность. Ранее, когда Бэйн получал способность «Благословение варвара», количество его войск сокращалось на 1. Теперь это превращено в особую способность: Бэйн может вести в бой только 1 группу войск. Открывается на 1 уровне, а не на 2.. Теперь не расходует энергии (раньше расходовала 1 очко энергии). Теперь сокращает не весь получаемый урон, а только физический. Открывается на 2 уровне, а не на 1. Расходует 1 очко энергии (раньше не расходовала энергию). Урон удвоен. Больше не сокращает количество войск, которое Бэйн может вести в битву, и не повышает предельное значение энергии. Вместо этого повышает выносливость и сокращает физический урон. Ahora inflige mucho daño a un solo objetivo y una pequeña cantidad de daño en área. Ya no reduce el número de grupos de tropas que Rufio puede liderar en batalla. El multiplicador de daño se ha ajustado ligeramente. Se desbloquea al nivel 4 (antes 5), el daño de hielo aumenta ligeramente y cuesta 3 de maná (antes 2). Se desbloquea al nivel 5 (antes 4). Habilidad nueva, se desbloquea al nivel 10 y reemplaza «doble lanzamiento». Permite lanzar todos los hechizos de Avril dos veces y, tras mejorarlo, reduce el período de recuperación de los mismos. La probabilidad de lanzar un ataque que se divida en varias llamaradas se ha reducido al 25 % (antes 100 %). El daño de bola de fuegoha aumentado y ahora cuesta 3 de maná (antes 2). Habilidad nueva que se desbloquea al nivel 5; añade una mejor a todos los ataques de fuego de Vallari que hace que inflijan daño de fuego con el paso del tiempo. Cuesta 4 de maná (antes 3). Se ha eliminado la habilidad «Poción de energía». Habilidad nueva, se desbloquea al nivel 2 y cuesta 1 de energía. Ávalon invoca a un grupo de arqueros para que participen en la batalla. Cuanto más alto sea el nivel de tu bastión, más alto será el nivel de los arqueros invocados. Cuanto mayor sea el mando de Ávalon, mayor será el poder de los arqueros invocados. Habilidad nueva, se desbloquea al nivel 3. Cuando Ávalon llega al campo de batalla, hace sonar su cuerno de guerra aumentando la velocidad de ataque de los aliados cercanos. Habilidad nueva, se desbloquea al nivel 5. Ávalon lidera un ejército extremadamente disciplinado. Cuando se encuentra en el campo de batalla, los puntos de vida máximos de todas las unidades humanoides aliadas aumentan. Se desbloquea al nivel 10 (antes 3). Se puede mejorar para aumentar el límite de bronce de tu ejército. Se ha eliminado la habilidad «Recoger recursos». Se ha eliminado la habilidad «Fuego concentrado». Se ha eliminado la habilidad «Ambición compartida». En batalla, la retirada estratégica tiene un período de recuperación independiente. Se desbloquea al nivel 2 (antes 1), cuesta 1 de energía (antes gratis). Elena invoca a un grupo de lanceros para que participen en la batalla. Cuanto más alto sea el nivel de tu bastión, más alto será el nivel de las tropas invocadas. Cuanto mayor sea el mando del héroe, mayor será el poder de las tropas invocadas. Se desbloquea al nivel 3 (antes 2). Se desbloquea al nivel 5 (antes 3). Habilidad nueva, se desbloquea al nivel 10. Cuando Elena se despliega, el daño mágico recibido por todas las unidades aliadas se reduce en un porcentaje. Se ha eliminado la habilidad «Tesoro real». Se ha aumentado considerablemente la salud de la barrera de maná. Cuesta 5 de maná (antes 3). Ya no otorga defensa invencible, sino que reduce el daño recibido un 95 %. Cuesta 3 de maná (antes 1). Virion invoca a un grupo de soldados rasos para que participen en la batalla. Cuanto más alto sea el nivel de tu bastión, más alto será el nivel de las tropas invocadas. Cuanto mayor sea el mando del héroe, mayor será el poder de las tropas invocadas. Se ha reducido enormemente el efecto de mitigación de daño durante la potenciación de moral. Se ha aumentado enormemente la salud y daño de los antárboles. Se ha aumentado el daño infligido y se ha aumentado enormemente el daño infligido a las fortificaciones. Se ha aumentado enormemente el radio del daño y se ha reducido ligeramente el daño infligido. Se desbloquea al nivel 2 (antes 3). Se desbloquea al nivel 3 (antes 4), se puede lanzar gratis (antes 2 de maná). Se ha aumentado enormemente la salud y daño del titán esqueleto invocado. Habilidad nueva, se desbloquea al nivel 4. Gazul es experto en guiar a las tropas de esqueletos a la batalla. Cuando llega al campo de batalla, aumenta el daño y la salud máxima de todos los saqueadores, expoliadores, acechadores, acólitos, ocultistas, brujos y piqueros aliados. Habilidad nueva, se desbloquea al nivel 5. El poder inmortal de Gazul le otorga poder adicional a las unidades de no muertos que estén a su alrededor. Cuando se encuentra en el campo de batalla, los puntos de vida máximos de todas las unidades de no muertos aumentan un porcentaje. Aumenta ligeramente el daño infligido. Cuesta 5 de maná (antes 3). Se ha eliminado la habilidad «Desgarro de alma». Se ha eliminado la habilidad «Nigromancia». Daño reducido. Cuesta 5 de maná (antes 3). Wraxius solo puede lanzar explosión de almas tras colocar faroles en el campo de batalla. No hay un período de recuperación para la habilidad, siempre que haya faroles en el campo de batalla se puede lanzar la habilidad. Aumenta enormemente el daño y la salud del espíritu. Cuesta 4 de maná (antes 3). Se ha duplicado el área cubierta por la telaraña. Habilidad nueva, se desbloquea al nivel 4. Cuando Grimmsis está en el campo de batalla, el daño y los puntos de vida máximos de las armas de asedio de todas las razas aumentan un cierto porcentaje. Se desbloquea al nivel 10 (antes 5). Se ha eliminado la habilidad «Maestría de asedio». Habilidad nueva, se desbloquea al nivel 3. Cuando Gafgar se encuentra en el campo de batalla, los puntos de vida máximos de todas las unidades mecanizadas aumentan. Se desbloquea al nivel 4 (antes 5). Se ha aumentado la reducción de daño y la duración. Se ha eliminado la habilidad «Maestro taladrador de élite». Permite lanzar todas las habilidades de Nora dos veces y, tras mejorarlo, reduce el período de recuperación de las mismas. Se ha reducido enormemente la cantidad de munición gastada, el daño infligido por cada bala y, tras mejorarla, se ha aumentado la duración. Se ha reducido el coste de munición y reduce ligeramente el daño infligido. Especialidad nueva. Antes, al aprender «Bendición bárbara», el número de tropas que Bane podía liderar en batalla se reducía en 1. Ahora se ha cambiado a una especialidad: Bane solo puede liderar 1 grupo de tropas a la batalla. Se desbloquea al nivel 1 (antes 2). Ahora se puede lanzar gratis (antes 1 de energía). Ya no mitiga todo el daño al lanzarlo, solo el daño físico. Se desbloquea al nivel 2 (antes 1). Cuesta 1 de energía (antes gratis). Se ha duplicado el daño. Ya no reduce el número de tropas que Bane puede liderar en batalla y no aumenta el límite de energía. En su lugar, aumenta la resistencia y la mitigación de daño físico. Les dégâts de zone deviennent des dégâts ciblés plus importants, avec des dégâts de zone réduits. Ne réduit plus le nombre de groupes de troupes que Rufio peut diriger au combat. Multiplicateur de dégâts légèrement modifié. Se débloque au niveau 4 (au lieu du niveau 5), dégâts de gel légèrement augmentés, coûte 3 points de mana (au lieu de 2). Se débloque au niveau 5 (au lieu du niveau 4). Nouvelle aptitude, se débloque au niveau 10, remplace « Double lancer ». Permet aux sorts d'Avril d'être lancés deux fois ; une fois améliorée, réduit le temps de rechargement des sorts d'Avril. L'attaque a désormais 25 % de chance de se diviser en plusieurs faisceaux (au lieu de 100 %). Dégâts de la Boule de feu augmentés, coûte désormais 3 points de mana (au lieu de 2). Nouvelle aptitude, se débloque au niveau 5, ajoute des dégâts de brûlures continus aux attaques de feu de Vallari. Nouvelle aptitude, se débloque au niveau 2, coûte 1 point d'Énergie. Avalon invoque un groupe d'archers qui lui viennent en aide au combat. Plus le niveau de votre base est élevé, plus le niveau des archers invoqués le sera lui aussi. Plus le Commandement d'Avalon est élevé, plus le niveau de Puissance des archers le sera lui aussi. Nouvelle aptitude, se débloque au niveau 3. Lorsqu'Avalon entre sur le champ de bataille, il fait retentir son Cor de guerre et augmente la vitesse d'attaque des alliés à proximité. Nouvelle aptitude, se débloque au niveau 5. Avalon dirige une armée extrêmement bien disciplinée. Lorsqu'il est sur le champ de bataille, toutes les unités humanoïdes alliées voient leurs points de vie max. augmenter. Se débloque au niveau 10 (au lieu du niveau 3). Peut être amélioré pour augmenter le plafond de réserve de Bronze de votre armée. Se débloque au niveau 1 (au lieu du niveau 5), peut être lancée gratuitement (au lieu de coûter 1 point d'Énergie). Au combat, la Retraite stratégique possède son propre temps de rechargement. Elena invoque un groupe de lanciers qui lui viennent en aide au combat. Plus le niveau de votre base est élevé, plus le niveau des troupes invoquées le sera lui aussi. Plus le Commandement du héros est élevé, plus les troupes invoquées seront nombreuses. Nouvelle aptitude, se débloque au niveau 10. Lorsqu'Elena est déployée, les dégâts magiques subis par toutes les unités alliées sont réduits par un pourcentage donné. Augmentation importante de la santé de la Barrière de Mana. Coûte 5 points de mana (au lieu de 3). Réduit désormais les dégâts reçus de 95 % au lieu de conférer une défense invincible. Coûte 3 points de mana (au lieu de 1). Virion invoque un groupe de fantassins qui lui viennent en aide au combat. Plus le niveau de votre base est élevé, plus le niveau des troupes invoquées le sera lui aussi. Plus le Commandement du héros est élevé, plus les troupes invoquées seront nombreuses. Réduction importante de l'effet d'atténuation des dégâts pendant les bonus de moral. Coûte 4 points de mana (au lieu de 3). Augmentation importante de la santé et des dégâts du Tréant. Augmentation des dégâts infligés, et augmentation importante des dégâts infligés aux fortifications. Réduction importante du rayon des dégâts et réduction légère des dégâts infligés. Se débloque au niveau 2 (au lieu du niveau 3). Se débloque au niveau 3 (au lieu du niveau 4) et peut désormais être lancé gratuitement (au lieu de coûter 2 points de mana). Augmentation importante de la santé et des dégâts du Titan squelette. Nouvelle aptitude, se débloque au niveau 4. Gazul est particulièrement doué pour diriger les troupes squelettes au combat. Lorsqu'il entre sur le champ de bataille, tous les Maraudeurs, Saccageurs, Pisteurs, Acolytes, Occultistes, Sorciers et Piquiers voient leurs dégâts et leur santé maximale augmentés. Nouvelle aptitude, se débloque au niveau 5. La puissance immortelle de Gazul renforce les unités de morts-vivants autour de lui. Lorsqu'il est sur le champ de bataille, toutes les unités de morts-vivants alliées voient leurs points de vie max. augmentés selon un pourcentage donné. Légère augmentation des dégâts infligés. Coûte 5 points de mana (au lieu de 3). Dégâts réduits. Coûte 5 points de mana (au lieu de 3). Wraxius peut uniquement lancer Explosion d'âme après avoir placé des lanternes sur le champ de bataille. Cette aptitude n'a pas de temps de rechargement ; tant que des lanternes sont présentes sur le champ de bataille, la capacité peut être utilisée. Augmentation importante des dégâts et de la santé de l'esprit. Coûte 4 points de mana (au lieu de 3). La zone couverte par la toile est doublée. Nouvelle aptitude, se débloque au niveau 4. Lorsque Grimms est sur le champ de bataille, les armes de siège de toutes les races voient leurs dégâts et leurs points de vie max. augmentés selon un pourcentage donné. Se débloque au niveau 10 (au lieu du niveau 5). Nouvelle aptitude, se débloque au niveau 3. Lorsque Gafgar est sur le champ de bataille, toutes les unités mécas alliées voient leurs points de vie max. augmentés. Se débloque au niveau 4 (au lieu du niveau 5). Augmentation de la réduction des dégâts et de la durée. Permet aux aptitudes de Nora d'être utilisées deux fois ; une fois amélioré, réduit le temps de rechargement des aptitudes de Nora. Réduction importante de la quantité de munitions utilisées et réduction des dégâts infligés par chaque balle ; une fois améliorée, augmente la durée des tirs. Réduction du coût en munitions et légère réduction des dégâts infligés. Nouvelle spécialité. Lorsque Bane apprenait « Bénédiction barbare », le nombre de troupes qu'il pouvait diriger au combat était réduit de 1. Ceci est désormais devenu une spécialité : Bane ne peut désormais diriger qu'un seul groupe de troupes au combat. Se débloque au niveau 1 (au lieu du niveau 2). Peut désormais être lancée gratuitement (au lieu de coûter 1 point d'Énergie). N'atténue plus tous les dégâts une fois lancée, mais uniquement les dégâts physiques. Se débloque au niveau 2 (au lieu du niveau 1). Coûte 1 point d'Énergie (au lieu d'être gratuite). Dégâts doublés. Ne réduit plus le nombre de troupes que Bane peut diriger au combat et n'augmente plus la limite d'Énergie. À la place, augmente désormais l'Endurance et l'atténuation des dégâts physiques. Alterada de dano em área para grande dano a um alvo único com uma pequena quantidade de dano disperso. Não reduz mais o número de grupos de tropas que Rufio pode levar à batalha. O multiplicador de danos foi ligeiramente ajustado. Desbloqueia no nível 4 (era 5), o dano de congelamento aumentou ligeiramente, custa 3 mana (era 2). Desbloqueia no nível 5 (era 4). Nova habilidade, desbloqueia no nível 10, substitui “Conjuração Dupla”. Permite que todos os feitiços de Avril sejam lançados duas vezes e, quando atualizado, reduz o tempo de recarga dos feitiços de Avril. A chance de um ataque se dividir em múltiplas aletas foi reduzida para 25% de 100%. O dano de bola de fogo aumentou, agora custa 3 de mana (era 2). Nova habilidade, desbloqueia no nível 5, concede um dano ao longo do tempo de efeito de queima para todos os ataques de fogo de Vallari. Nova habilidade, desbloqueia no nível 2, custa 1 de Energia. Avalon evoca um grupo de arqueiros para ajudar na batalha.Quanto maior o nível de sua fortaleza, maior o nível dos arqueiros evocados.Quanto maior o Comando de Avalon, maior o Poder dos Arqueiros evocados. Nova habilidade, desbloqueia no nível 3. Quando Avalon leva o campo de batalha, ele sopra sua Trombeta de Guerra, que aumenta a velocidade de ataque dos aliados próximos. Nova habilidade, desbloqueia no nível 5. Avalon lidera um exército extremamente disciplinado. Quando está no campo de batalha, todas as unidades humanoides aliadas têm o máximo de pontos de vida aumentados. Desbloqueia no nível 10 (era 3). Pode ser atualizada para aumentar o limite de fornecimento de Bronze do seu exército. Removida a habilidade de “Capturar Recursos”. Removida a habilidade “Fogo Concentrado”. Desbloqueia no nível 1 (era 5), pode ser lançada gratuitamente (custava 1 de Energia). Na batalha, Retirada Estratégica tem um temporizador de recarga independente. Elena evoca um grupo de lanceiros para ajudar na batalha. Quanto maior o nível de sua fortaleza, maior o nível das tropas evocadas. Quanto maior o comando do herói, maior o número de tropas evocadas. Nova habilidade, desbloqueia no nível 10. Quando Elena é posicionada, o dano mágico obtido por todas as unidades aliadas é reduzido em certa porcentagem. Aumentou bastante a vida da Barreira de Mana. Custa 5 de mana (era 3). Mudou de conceder defesa invencível para reduzir os danos recebidos em 95%. Custa 3 de mana (era 1). Vírion convoca um grupo de Soldados para ajudar na batalha. Quanto maior o nível de sua fortaleza, maior o nível das tropas evocadas. Quanto maior o comando do herói, maior o número de tropas evocadas. Reduziu bastante o efeito de mitigação de dano durante os aumentos de moral. Custa 4 de mana (era 3). Aumentou bastante a vida e o dano do Arvoroso. Aumentou o dano causado e aumentou consideravelmente o dano causado às fortificações. Aumentou bastante o raio de dano ao reduzir ligeiramente o dano causado. Desbloqueia no nível 2 (era 3). Desbloqueia no nível 3 (era 4) e agora pode ser lançado gratuitamente (era 2 de mana). Aumentou bastante a vida e o dano do Esqueleto Titã evocado. Nova habilidade, desbloqueia no nível 4. Gazul se destaca nas principais tropas de esqueleto na batalha. Quando ele chega ao campo de batalha, todos Saqueadores, Destruidores, Perseguidores, Acólitos, Ocultistas, Bruxos e Piqueiros aliados têm seu dano e vida máximos aumentados. Nova habilidade, desbloqueia no nível 5. O poder imortal de Gazul dá poder extra às unidades mortas-vivas ao seu redor. Quando está no campo de batalha, todas as unidades mortas-vivas aliadas têm o máximo de pontos de vida aumentado em determinada porcentagem. Aumentou ligeiramente o dano causado. Custa 5 de mana (era 3). Dano reduzido. Custa 5 de mana (era 3). Wraxius pode lançar Explosão Anímica logo após colocar lanternas no campo de batalha. Não há tempo de recarga da habilidade — desde que haja lanternas no campo de batalha, a habilidade pode ser lançada. Aumenta muito o dano e a vida do espírito.Custa 4 de mana (era 3). Dobrou a área coberta pela teia. Nova habilidade, desbloqueia no nível 4. Quando Grimms está no campo de batalha, as armas de cerco de todas as raças têm seus danos e os pontos máximos aumentados em determinada porcentagem. Desbloqueia no nível 10 (era 5). Nova habilidade, desbloqueia no nível 3. Quando Gafgar está no campo de batalha, todas as unidades mecânicas aliadas têm aumentado o máximo de pontos de vida. Desbloqueia no nível 4 (era 5). Aumentou a redução e duração do dano. Permite que todas as habilidades de Nora sejam lançadas duas vezes e, quando aprimoradas, reduz o tempo de recarga das habilidades de Nora. Reduziu bastante a quantidade de munição usada, reduziu o dano causado por cada bala e, quando aprimorada, aumenta a duração dos disparos. Reduziu o custo da munição e reduziu ligeiramente o dano causado. Nova especialidade. Anteriormente, ao aprender “Bênção Bárbara”, o número de tropas que Bane poderia levar à batalha foi reduzido em 1. Isso agora foi transformado em uma especialidade: Bane pode liderar apenas um grupo de tropas na batalha. Desbloqueia no nível 1 (era 2). Agora pode ser lançado gratuitamente (custava 1 de energia). Já não remove todos os danos quando lançado, apenas os danos físicos. Desbloqueia no nível 2 (era 1). Custa 1 de energia (era gratuito). O dano duplicou. Já não reduz o número de tropas que Bane pode levar à batalha e não aumenta o limite de energia. Em vez disso, agora aumenta o Vigor e a redução de danos físicos. Wurde von Flächenschaden zu hohem Schaden auf ein einzelnes Ziel mit niedrigem Flächenschaden geändert. Verringert nicht mehr die Zahl der Truppen, die Rufio in den Kampf führen kann. Schadensmultiplikator wurde geringfügig angepasst. Wird auf Level 4 freigeschaltet (vorher 5), Frostschaden wurde leicht erhöht, kostet jetzt 3 Mana (vorher 2). Wird auf Level 5 freigeschaltet (vorher 4). Neue Fähigkeit, wird auf Level 10 freigeschaltet, ersetzt „Doppelzauber”. Versetzt Avril in die Lage, all ihre Zauber zweimal zu wirken. Wird die Fähigkeit verbessert, verringert sich die Abklingzeit aller Zauber von Avril. Die Chance, dass sich eine Attacke in mehrere Flammen aufteilt, wurde von 100% auf 25% verringert. Feuerball-Schaden erhöht, kostet jetzt 3 Mana (vorher 2). Neue Fähigkeit, wird auf Level 5 freigeschaltet., verleiht allen Feuerangriffen von Vallari einen Brandschaden-Effekt über längere Zeit. Ihre Fähigkeit „Energietrank“ wurde entfernt. Neue Fähigkeit, wird auf Level 2 freigeschaltet, kostet 1 Energie. Avalon beschwört eine Gruppe von Bogenschützen zur Unterstützung im Kampf. Je höher das Level deiner Festung ist, desto höher ist das Level der beschworenen Bogenschützen. Je höher Avalons Kommando-Wert ist, desto höher ist der Kraft-Wert der beschworenen Bogenschützen. Neue Fähigkeit, wird auf Level 3 freigeschaltet. Wenn Avalon auf das Schlachtfeld zieht, bläst er in sein Kriegshorn und erhöht so die Angriffsgeschwindigkeit von Truppen in der Nähe. Neue Fähigkeit, wird auf Level 5 freigeschaltet. Avalon führt eine extrem disziplinierte Armee an. Wenn er sich auf dem Schlachtfeld befindet, werden die maximalen Lebenspunkte aller verbündeten humanoiden Einheiten erhöht. Wird auf Level 10 freigeschaltet (vorher 3). Kann verbessert werden, um das Bronze-Versorgungslimit deiner Armee zu erhöhen. Wird auf Level 1 freigeschaltet (vorher 5), kann kostenlos gewirkt werden (vorher 1 Energie). Im Kampf besitzt Strategischer Rückzug jetzt eine eigene Abklingzeit. Wird auf Level 2 freigeschaltet (vorher 1), kostet 1 Energie (vorher kostenlos). Elena beschwört eine Gruppe von Lanzenreitern zur Unterstützung im Kampf. Je höher das Level deiner Festung ist, desto höher ist das Level der beschworenen Truppen. Je höher der Kommando-Wert des Helden ist, desto mehr Truppen werden beschworen. Neue Fähigkeit, wird auf Level 10 freigeschaltet. Wenn Elena eingesetzt wird, verringert sich der magische Schaden, den alle verbündeten Einheiten einstecken, um einen gewissen Prozentsatz. Gesundheit der Manabarriere wurde stark erhöht. Kostet jetzt 5 Mana (vorher 3). Verleiht nicht länger Unverwundbarkeit, sondern verringert den erlittenen Schaden um 95 %. Kostet jetzt 3 Mana (vorher 1). Virion beschwört eine Gruppe von Fußsoldaten zur Unterstützung im Kampf. Je höher das Level deiner Festung ist, desto höher ist das Level der beschworenen Truppen. Je höher der Kommando-Wert des Helden ist, desto mehr Truppen werden beschworen. Schadensreduzierungseffekt während Moralschüben wurde stark verringert. Kostet jetzt 4 Mana (vorher 3). Gesundheit und Schaden der Treants wurde stark erhöht. Ausgeteilter Schaden wurde erhöht und angerichteter Schaden an Befestigungen wurde stark erhöht. Schadensradius wurde stark vergrößert, ausgeteilter Schaden wurde leicht verringert. Wird auf Level 2 freigeschaltet (vorher 3). Wird auf Level 3 freigeschaltet (vorher 4), kann jetzt kostenlos gewirkt werden (vorher 2 Mana). Gesundheit und Schaden des beschworenen Skelett-Titanen wurden stark erhöht. Neue Fähigkeit, wird auf Level 4 freigeschaltet. Gazul ist der Beste, wenn es darum geht, Skelette in den Kampf zu führen. Wenn er das Schlachtfeld betritt, wird der Schaden und die maximale Gesundheit aller verbündeten Plünderer, Zerstörer, Schleicher, Akolythen, Okkultisten, Hexer und Pikeniere erhöht. Neue Fähigkeit, wird auf Level 5 freigeschaltet. Gazuls unsterbliche Macht verleiht untoten Einheiten in seiner Nähe zusätzliche Kraft. Wenn er sich auf dem Schlachtfeld befindet, werden die maximalen Lebenspunkte aller verbündeten untoten Einheiten um einen gewissen Prozentsatz erhöht. Ausgeteilter Schaden wurde leicht erhöht. Kostet jetzt 5 Mana (vorher 3). Schaden verringert. Kostet jetzt 5 Mana (vorher 3). Laternen auf dem Schlachtfeld befinden, kann die Fähigkeit gewirkt werden. Schaden und Gesundheit des Geistes wurden stark erhöht. Kostet jetzt 4 Mana (vorher 3). Das vom Netz bedeckte Gebiet wurde verdoppelt. Neue Fähigkeit, wird auf Level 4 freigeschaltet. Wenn sich Grimms auf dem Schlachtfeld befindet, erhöht sich der Schaden und die maximalen Lebenspunkte der Belagerungswaffen aller Rassen um einen gewissen Prozentsatz. Wird auf Level 10 freigeschaltet (vorher 5). Wird auf Level 4 freigeschaltet (vorher 5). Schadensreduktion und Dauer wurden erhöht. Versetzt Nora in die Lage, all ihre Fähigkeiten zweimal einzusetzen. Wird die Fähigkeit verbessert, verringert sich die Abklingzeit aller Fähigkeiten von Nora. Verbrauchte Munitionsmenge wurde stark verringert, Schaden jeder einzelnen Kugel wurde verringert und bei Verbesserung verlängert sich die Feuerdauer. Munitionskosten wurden verringert und ausgeteilter Schaden wurde leicht verringert. Neue Besonderheit. Wenn Bane bisher „Barbarischer Segen“ erlernt hat, wurde die Anzahl der Truppen, die er in den Kampf führen konnte, um 1 reduziert. Dies wurde jetzt zu einer Besonderheit geändert: Bane kann nur 1 Truppe in den Kampf führen. Wird auf Level 1 freigeschaltet (vorher 2). Kann jetzt kostenlos gewirkt werden (vorher 1 Energie). Verringert beim Wirken nicht mehr allen Schaden, sondern nur noch physischen Schaden. Wird auf Level 2 freigeschaltet (vorher 1). Kostet 1 Energie (vorher kostenlos). Schaden wurde verdoppelt. Verringert nicht mehr die Zahl der Truppen, die Bane in den Kampf führen kann und erhöht nicht mehr die maximale Energie. Stattdessen erhöht sich die Ausdauer und physische Schadensverringerung. تغير من الضرر الذي يمتد إلى نطاق معين إلى الضرر الفردي الأعلى الذي يلحق بالهدف مع قدر ضئيل من الضرر المحيط بمنطقة إطلاق النار. لا يمكن تقليل عدد مجموعات الجند بعد الآن، لأن روفيو يمكن أن يقود إلى المعركة. عُدل مضاعف الضرر قليلاً. تحرر في المستوى 4 (كان المستوى 5 من قبل)، حيث يزداد ضرر التجميد قليلاً، بتكلفة 3 مانا (كانت التكلفة 2 مانا من قبل). يحرر في المستوى 5 (كان المستوى 4 من قبل). قدرة جديدة، تحرر في المستوى 10 وتحل محل "التعويذة المزدوجة". تسمح بإلقاء تعويذات أفريل مرتين، وعند ترقية المستوى تقلل وقت انتظار إلقاء تعويذات أفريل. انخفضت فرصة تقسيم الهجمة إلى شعلات متعددة إلى 25% من 100%. ازداد ضرر قذيفةالنار، الآن بتكلفة 3 مانا (كانت التكلفة 2 مانا من قبل). قدرة جديدة، تحرر في المستوى 5، تمنح ضرر تأثير الاحتراق بمرور الوقت لجميع هجمات فاليري النارية. قدرة جديدة، تحرر في المستوى 2 بتكلفة 1 من الطاقة. يستدعي أفالون مجموعة من رماة الأسهم للمساعدة في المعركة. كلما ارتفع مستوى حصنك، ارتفع مستوى رماة الأسهم المستدعين. كلما كانت قوات أفالون غفيرة، زادت قوة رماة الأسهم المستدعين. قدرة جديدة، تحرر في المستوى 3. عندما نزل أفالون إلى ميدان المعركة، نفخ في بوق الحرب، مما زاد من سرعة هجمة قوات التحالف القريبة. قدرة جديدة، تحرر في المستوى 5. يقود أفالون جيشًا مدربًا للغاية. عندما يكون في ميدان المعركة، تأخذ جميع وحدات التحالف التي لها صفات بشرية أقصى نقاط الهجوم الخاصة بهم. يحرر في المستوى 10 (كان المستوى 3 من قبل). يمكن ترقيته لزيادة سعة إمدادات البرونز لجيشك. يحرر في المستوى 1 (كان المستوى 5 من قبل)، بتكلفة مجانية (كان عادةً يُكلف 1 من الطاقة). في المعركة، يكون للانسحاب الاستراتيجي موقت انتظار مستقل. تستدعي إلينا مجموعة من حملة الرماح للمساعدة في المعركة. كلما ارتفع مستوى حصنك، ارتفع مستوى القوات المستدعاة. كلما كانت قوات البطل غفيرة، زاد عدد القوات المستدعاة. قدرة جديدة، تحرر في المستوى 10. عندما تنتشر إلينا، ينخفض الضرر السحري الذي لحق بجميع الوحدات المتحالفة بنسبة معينة. ازدادت صحة حاجز المانا إلى حد كبير. بتكلفة 5 مانا (كانت التكلفة 3 مانا من قبل). تغير من منح دفاع لا يقهر لخفض الضرر المتلقى بنسبة 95%. بتكلفة 3 مانا (كانت التكلفة 1 مانا من قبل). تستدعي فيريون مجموعة من الجنود للمساعدة في المعركة. كلما ارتفع مستوى حصنك، ارتفع مستوى القوات المستدعاة. كلما كانت قوات البطل غفيرة، زاد عدد القوات المستدعاة. قلل تأثير تخفيف الضرر إلى حد كبير أثناء تعزيز المعنويات. بتكلفة 4 مانا (كانت التكلفة 3 مانا من قبل). زادت من صحة وضرر الشجرة العملاقة إلى حد كبير. زاد من الأضرار التي يمكن توجيهها، وزادت الأضرار التي يمكن توجيهها إلى التحصينات إلى حد كبير. ازداد محيط الضرر إلى حد كبير في حين انخفضت الأضرار التي يمكن توجيهها قليلاً. يحرر في المستوى 2 (كان المستوى 3 من قبل). يحرر في المستوى 3 (كان المستوى 4 من قبل)، وبتكلفة مجانية الآن (كانت التكلفة 2 من الطاقة). زاد من صحة وضرر الهيكل العظمي العملاق المستدعى. قدرة جديدة، تحرر في المستوى 4. يتفوق جازول في قيادة قوات الهيكل العظمي في المعركة. عندما ينزل إلى ميدان المعركة، يزداد الضرر والصحة القصوى لجميع السلابين والمخربين والمطاردين والمعاونين والسحرة والمشعوذين وحملة الرماح. قدرة جديدة، تحرر في المستوى 5. تمنح قوة جازول قوة إضافية للوحدات غير الميتة من حوله. عندما يكون في ميدان المعركة، تأخذ جميع وحدات التحالف غير الميتة أقصى نقاط الهجوم الخاصة بهم بنسبة معينة. زاد من الأضرار التي يمكن توجيهها قليلاً. بتكلفة 5 مانا (كانت التكلفة 3 مانا من قبل). خفض الضرر. بتكلفة 5 مانا (كانت التكلفة 3 مانا من قبل). يستطيع وراكسيوس إلقاء تعويذات انطلاق الأرواح فقط بعد وضع المصابيح في ميدان المعركة. لا توجد أي قدرة انتظار - طالما توجد مصابيح في ميدان المعركة، يمكن رفع القدرة. تزيد من ضرر وصحة الروح إلى حد كبير. بتكلفة 4 مانا (كانت التكلفة 3 مانا من قبل). تم مضاعفة المساحة التي تغطيها الشبكة. قدرة جديدة، تحرر في المستوى 4. عندما يكون جريمز في ميدان المعركة، تزداد أسلحة الحصار بجميع أنواعها إلى أقصى نقاط الهجوم بنسبة معينة. يحرر في المستوى 10 (كان المستوى 5 من قبل). قدرة جديدة، تحرر في المستوى 3. عندما يكون جفجار في ميدان المعركة، تزيد جميع وحدات الآليين المتحالفة أقصى نقاط الهجوم الخاصة بهم. يحرر في المستوى 4 (كان المستوى 5 من قبل). زاد من خفض الضرر وزاد من المدة. يسمح بنشر جميع قدرات نورا مرتين، وعند الترقية، يقلل وقت انتظار قدرات نورا. خفضت كمية الذخيرة المستهلكة إلى حد كبير، وخفضت الأضرار التي يمكن توجيهها من خلال كل رصاصة، وعند الترقية، تزيد من مدة اطلاق النار. خفض من تكلفة الذخيرة كما قلل الأضرار التي يمكن توجيهها قليلاً. صفة مميزة جديدة. سابقا عندما تعلم "البرَكة الوحشية"، انخفض عدد القوات التي يمكن أن يقودها باين في المعركة بنسبة 1. وقد تغير هذا الآن إلى صفة مميزة: يمكن لباين قيادة 1 مجموعة قوات فقط في المعركة. (يحرر في المستوى 1 (كان المستوى 2 من قبل). يمكن رفعه الآن مجانًا (كان يُرفع مقابل 1 من الطاقة من قبل). لم يعد يخفف كل الأضرار عند نشره، ويخفف فقط الأضرار المادية. يحرر في المستوى 2 (كان المستوى 1 من قبل). بتكلفة 1 من الطاقة (كان مجانًا). ضرر مضاعف. لم تعد تقلل عدد القوات التي يمكن أن يقودها باين في المعركة، ولا تزيد أيضًا من حد الطاقة. بدلاً من ذلك، تزيد الآن من قوة التحمل وتخفيف الضرر المادي. Dari kerusakan efek area (AoE) diganti menjadi kerusakan sasaran tunggal berdampak tinggi dengan sedikit kerusakan splash. Catatan Pengembang: Kemampuan ini sebelumnya menyebabkan kerusakan dalam radius sebuah serangan yang artinya kerusakan rata-rata per unit lawan cukup rendah dan sangat jarang mematikan. Sekarang, sebuah unit sasaran yang terkena serangan ini kemungkinan akan tewas. Tidak lagi mengurangi jumlah grup pasukan yang bisa dibawa Rufio ke pertarungan. Pengali kerusakan sedikit diubah. Catatan Pengembang: Sebelumnya, pemain ragu untuk mempelajari kemampuan ini karena mengurangi jumlah pasukan yang dapat diturunkan. Keraguan hilang begitu kekurangan ini diperbaiki. Terbuka di level 5 (awalnya 4). Kemampuan baru yang terbuka di level 10 menggantikan "Rapalan Ganda"
Membuat semua mantra Avril bisa dirapalkan dua kali dan saat ditingkatkan, mengurangi masa pendinginan mantranya. Kemungkinan serangan pecah menjadi beberapa lidah api dikurangi 25% dari 100%. Kemampuan baru yang terbuka di level 5. Memberikan luka seiring efek terbakar pada semua serangan api Vallari. Catatan Pengembang: Sebelumnya, kerusakan yang ditimbulkan Vallari agak sedikit tinggi dan mempengaruhi secara keseluruhan keseimbangan permainan. Untuk menyelesaikannya, kami menurunkan kekuatan "Api Berkobar"nya secukupnya dan menambahkan kemampuan "Terbakar" baru yang mempertegas karakteristiknya. Kemampuan baru yang terbuka di level 2 dan menghabiskan 1 Energi. Avalon memanggil sekumpulan Pemanah untuk membantu dalam pertempuran. Semakin tinggi level bentengmu, semakin tinggi pula level Pemanah yang dipanggil. Semakin tinggi kuat Aba-aba Avalon, semakin tinggi Kekuatan Pemanah yang dipanggil. Catatan Pengembang: Kemampuan " Mengambil Sumber Daya" sedikit tak terpakai di versi sebelumnya. Kami memutuskan untuk menggantinya dengan kemampuan memangil untuk mempertegas peran kepemimpinan Avalon. Kemampuan baru yang terbuka di level 3. Ketika Avalon maju ke medan perang, dia meniup Terompet Perangnya yang meningkatkan laju serang sekutu terdekat. Kemampuan baru yang terbuka di level 5. Avalon memimpin pasukan yang sangat disiplin. Ketika dia di medan perang, dia menaikkan daya tahan maks semua sekutu bertipe unit manusia. Catatan Pengembang: Untuk menegaskan peran kepemimpinan Avalon, kami mengganti "Focus Fire" dengan "Aura Berkobar". Terbuka di level 10 (awalnya 3). Dapat dinaikkan untuk meningkatkan batas persediaan Perunggu untuk pasukanmu. Kemampuan " Mengambil Sumber Daya "nya dihilangkan. Karena "Ambisi Bersama" dihilangkan, setelah pembaruan semua Villager yang sebelumnya dipanggil oleh kemampuan tersebut akan secara otomatis dihilangkan dari pasukanmu. Nilai emas dari pasukan ini akan dikembalikan padamu dalam surat. Terbuka di level 1 (awalnya 5) dan bisa dirapalkan secara bebas (awalnya menghabiskan 1 Energi). Dalam pertempuran, Strategic Retreat memiliki penghitung masa pendinginannya tersendiri. Catatan Pengembang: Kamu sekarang dapat menggunakan Strategic Retreat kapanpun dianggap perlu tanpa khawatir menghabiskan Energi. Perubahan ini ditujukan untuk menonjolkan maksud strategis kemampuan ini. Elena memanggil sekumpulan Penombak untuk membantu dalam pertempuran. Semakin tinggi level bentengmu, semakin tinggi pula level pasukan yang dipanggil. Semakin tinggi Aba-aba hero, semakin tinggi pula jumlah pasukan yang dipanggil. Terbuka di level 3 (awalnya 2). Terbuka di level 5 (awalnya 3). Kemampuan baru yang terbuka di level 10. Saat Elena diturunkan, dampak luka sihir pada semua unit sekutu berkurang di persentase tertentu. Kemampuan "Harta Karun Kerajaan"nya dihilangkan. Yang sebelumnya memberikan kekebalan pada pertahanan diganti menjadi pengurangan dampak kerusakan sebesar 95%. Catatan Pengembang: Virion terlalu kuat saat gelembung perisai tangguhnya aktif sehingga membuat permainan ini sangat tidak seimbang. Perubahan ini memperbaiki masalah tersebut. Dari kerusakan efek area diganti menjadi kerusakan sasaran tunggal berdampak tinggi dengan sedikit kerusakan splash. Virion memanggil sekumpulan Footman untuk membantu dalam pertempuran. Semakin tinggi level bentengmu, semakin tinggi pula level pasukan yang dipanggil. Semakin tinggi Aba-aba hero, semakin tinggi pula jumlah pasukan yang dipanggil. Semakin mengurangi efek peringan kerusakan selama dorongan moral. Catatan Pengembang: Perisai Crusader terlalu kuat saat dorongan moral sehingga mempengaruhi keseimbangan pertempuran. Untuk mengatasinya, kami memutuskan untuk melemahkan efek kemampuan ini. Menghabiskan 4 mana (awalnya 3). Semakin meningkatkan kesehatan dan kerusakan Treant. Meningkatkan dampak kerusakan dan semakin meningkatkan dampak kerusakan pada benteng. Semakin meluaskan radius kerusakan walaupun sedikit mengurangi dampak kerusakan. Terbuka di level 2 (awalnya3). Terbuka di level 3 (awalnya 4) dan sekarang dapat bebas dirapalkan (awalnya menghabiskan 2 Mana) Semakin meningkatkan kesehatan dan kerusakan Skeleton Titan yang dipanggil. Kemampuan baru yang terbuka di level 4. Gazul unggul dalam memimpin pasukan kerangka di pertempuran. Ketika dia maju ke medan perang, semua kerusakan dan kesehatan maks sekutu Marauder, Ravager, Stalker, Acolytes, Occultists, Warloks, dan Pikemen meningkat. Kemampuan baru yang terbuka di level 5. Kekuatan abadi Gazul memberikan kekuatan tambahan pada unit undead di sekelilingnya Ketika dia di medan perang, poin daya tahan maks semua unit undead dinaikkan pada persentase tertentu. Catatan Pengembang: Sebagai hero necromancer, kami ingin menonjolkan kemampuan Gazul dalam memimpin pasukan undead. Untuk mencapainya, kami menambahkan kemampuan aura "Penguasaan Kerangka" dan "Tenaga Abadi" Di saat yang sama, kami melemahkan kemampuan aktif "Soulless Scourge"nya. Kemampuan " Soul Rip /Jiwa Beristirahat dalam Damai "nya dihilangkan. Mengurangi kerusakan. Menghabiskan 5 mana (awalnya 3). Catatan Pengembang: Sebagai kemampuan pengendalian kerumunan luas berkekuatan besar, "Tome of Creation" sangat berdampak pada keseimbangan permainan. Setelah mengolah berbagai sumber umpan balik, kami memutuskan untuk melemahkan kemampuan ini. Wraxius bisa merapal Soul Blast hanya setelah menempatkan lentera di medan perang. Tidak memiliki masa pendinginan. Selama terdapat lentera di medan perang, kemampuan ini bisa dirapalkan. Semakin meningkatkan kerusakan dan kesehatan Roh. Menghabiskan 4 mana (awalnya 3). Kemampuan baru yang terbuka di level 4. Ketika Grimms di medan perang, poin kerusakan dan daya tahan maks senjata penggempur dari semua ras meningkat di persentase tertentu. Terbuka di level 10 (awalnya 5). Kemampuan baru yang terbuka di level 3. Ketika Gafgar di medan perang, dia menaikkan daya tahan maks semua sekutu unit mech. Terbuka di level 4 (awalnya 5). Meningkatkan pengurangan dan durasi kerusakan. Membuat semua kemampuan Nora bisa dirapalkan dua kali dan saat ditingkatkan, mengurangi masa pendinginan kemampuannya. Semakin mengurangi jumlah pengeluaran amunisi, mengurangi dampak kerusakan tiap peluru, dan menaikkan durasi tembakan saat ditingkatkan. Catatan Pengembang: Sebelumnya, menggunakan Firestorm akan menghabiskan begitu banyak peluru sehingga Jaques tidak memiliki amunisi yang cukup untuk kemampuannya yang lain. Perubahan ini sangat membantu dalam memperbaiki masalah ini. Penyesuaian yang dilakukan pada waktu penembakan dan dampak kerusakan tiap peluru menambahkan elemen strategi yang membuat pemain berpikir sebelum menggunakannya. Pengeluaran amunisi dikurangi dan dampak kerusakan sedikit dikurangi. Spesialisasi baru. Sebelumnya ketika mempelajari "Berkat Barbarik", jumlah pasukan Bane yang dapat dipimpinnya berkurang menjadi 1. Sekarang kemampuan ini diubah menjadi spesialisasi: Bane hanya bisa memimpin satu kelompok pasukan ke pertempuran. Tidak lagi meringankan semua dampak kerusakan saat dirapalkan, hanya meringankan luka fisik. Terbuka di level 2 (awalnya 1). Menghabiskan 1 Energi (awalnya bebas) Kerusakan digandakan. Tidak lagi mengurangi jumlah pasukan yang dipimpin Bane ke pertempuran dan tidak lagi meningkatkan batas Energi. Sebagai gantinya, sekarang meningkatkan Stamina dan meringankan luka fisik. Catatan Pengembang: Yang membuat Bane spesial adalah kemandiriannya dan dia tidak membutuhkan pasukan dukungan untuk bertempur secara mumpuni. Untuk menonjolkan hal ini, kami membuat pengurangan pasukan menjadi spesialisasi dan meningkatkan atributnya. Đổi từ vùng sát thương ảnh hưởng thành sát thương một mục tiêu cao chỉ với một lượng nhỏ sát thương lan rộng. Lưu ý của nhà phát triển: Trước đây khả năng này gây sát thương khu vực, nghĩa là sát thương trung bình cho mỗi đơn vị đối phương tương đối thấp và hiếm khi giết chết. Nay đơn vị mục tiêu có sức mạnh tấn công và dễ bị giết hơn. Không còn giảm số nhóm quân mà Rufio có thể dẫn vào trận chiến. Điều chỉnh nhẹ hệ số sát thương nhiều mục tiêu. Lưu ý của nhà phát triển: Trước đây người chơi sẽ ngần ngại trước khi học khả năng này vì nó giảm số quân có thể triển khai. Loại bỏ nhược điểm đó đã giải quyết vấn đề này. Đổi từ vùng ảnh hưởng sát thương thành sát thương một mục tiêu cao chỉ với một lượng nhỏ sát thương lan rộng. Mở khóa tại cấp độ 4 (trước đây là 5), sát thương băng giá tăng nhẹ, tốn 3 mana (trước đây là 2). Mở khóa tại cấp độ 5 (trước đây là 4). Khả năng mới, Mở khóa tại cấp độ 10, thay cho “Chú Kép”. Cho phép mọi câu thần chú của phù thủy Avril được chú hai lần, và khi nâng cấp thì giảm thời gian hồi chiêu thần chú của Avril. Cơ hội tấn công chia thành nhiều đợt pháo sáng đã được giảm từ 100% xuống 25%. Tăng sát thương cầu lửa, nay tốn 3 mana (trước đây là 2). Khả năng mới, Mở khóa tại cấp độ 5, gây hiệu quả sát thương đốt cháy theo thời gian cho tất cả các cuộc tấn công lửa của Vallari. Lưu ý của nhà phát triển: Trước đây, tính sát thương của Vallari khá cao, ảnh hưởng đến sự cân bằng tổng thể của trò chơi. Để khắc phục điều này, chúng tôi đã giảm khả năng “Ngọn Lửa Bập Bùng” cho tương ứng và bổ sung thêm khả năng mới “Đốt Cháy” để nhấn mạnh đặc điểm xác định của bà phù thủy. Khả năng mới, Mở khóa tại cấp độ 2, tốn 1 Năng Lượng. Avalon triệu tập một nhóm Xạ Thủ để hỗ trợ trong trận chiến. Thành lũy của bạn càng cao thì càng triệu hồi được nhiều Xạ Thủ. Khả năng Lãnh Đạo của Avalon càng cao thì càng triệu hồi được nhiều Sức Mạnh của Xạ Thủ. Lưu ý của nhà phát triển: Khả năng “Chiếm Tài Nguyên” ít được sử dụng trong phiên bản trước. Chúng tôi quyết định thay thế bằng khả năng triệu hồi để nhấn mạnh vai trò lãnh đạo của Avalon. Khả năng mới, Mở khóa tại cấp độ 3. Khi Avalon tới chiến trường, anh thổi Tù Và Khiêu Chiến, tăng tốc độ tấn công của các đội quân gần đó. Khả năng mới, Mở khóa tại cấp độ 5. Avalon chỉ huy đội quân có kỷ luật cao. Khi anh ở chiến trường, tất cả các đơn vị quân hình người đồng minh đều tăng điểm sức mạnh tối đa. Lưu ý của nhà phát triển: Để nhấn mạnh vai trò lãnh đạo của Avalon, chúng tôi đã thay thế “Hỏa Tập Trung” bằng “Khí Chất Mãnh Liệt”. Mở khóa tại cấp độ 10 (trước đây là 3). Có thể được nâng cấp để tăng mức dự trữ Đồng cho quân của bạn. Vì khả năng “Tham Vọng Chung” sẽ bị hủy bỏ nên sau khi cập nhật, mọi Dân Làng trước đây được triệu tập bởi khả năng này sẽ tự động bị xóa khỏi đội quân của bạn. Giá trị vàng của những quân đội này sẽ được trả lại cho bạn bằng thư. Mở khóa tại cấp độ 1 (trước đây là 5), có thể dùng miễn phí (thường tốn 1 Năng Lượng). Trong trận chiến, Rút Quân Chiến Lược có đồng hồ hồi chiêu riêng biệt. Lưu ý của nhà phát triển: Nay bạn có thể sử dụng khả năng Rút Quân Chiến Lược bất cứ khi nào thích hợp mà không lo tốn năng lượng. Thay đổi này nhằm nhấn mạnh mục tiêu chiến lược của khả năng này. Avalon triệu hồi một nhóm Kỵ Binh để hỗ trợ trong trận chiến. Thành lũy của bạn càng cao thì càng triệu hồi được nhiều đội quân. Khả năng Lãnh Đạo của anh hùng càng cao thì càng triệu hồi được nhiều đội quân. Khả năng mới, Mở khóa tại cấp độ 10. Khi Elena được triển khai, sát thương ma thuật gây ra cho mọi đơn vị quân đồng minh sẽ giảm theo tỷ lệ nhất định. Tăng đáng kể sức mạnh của Rào Chắn Mana. Tốn 5 mana (trước đây là 3). Đổi từ cho phép phòng vệ bất khả chiến bại sang giảm bị sát thương xuống 95%. Lưu ý của nhà phát triển: Virion đã quá mạnh với khiên bong bóng bất khả chiến bại hoạt động, vốn đã cho thấy thách thức quá lớn đối với việc khắc phục cân bằng trò chơi. Thay đổi này sẽ khắc phục vấn đề đó. Tốn 3 mana (trước đây là 1). Virion triệu hồi một nhóm Kiếm Sĩ để hỗ trợ trong trận chiến. Thành lũy của bạn càng cao thì càng triệu hồi được nhiều đội quân. Khả năng Lãnh Đạo của anh hùng càng cao thì càng triệu hồi được nhiều đội quân. Giảm đáng kể ảnh hưởng giảm nhẹ sát thương trong khi lấy lại tinh thần. Lưu ý của nhà phát triển: Khiên của Quân Viễn Chinh quá mạnh trong khi lấy lại tinh thần, ảnh hưởng đến sự cân bằng của trận chiến. Để khắc phục điều này, chúng tôi đã quyết định làm giảm ảnh hưởng của khả năng này. Tốn 4 mana (trước đây là 3). Tăng đáng kể sức mạnh và tính sát thương của Thần Rừng. Tăng tính sát thương, và tăng đáng kể tính sát thương cho các pháo đài. Tăng đáng kể bán kính sát thương trong khi giảm nhẹ tính sát thương. Mở khóa tại cấp độ 2 (trước đây là 3). Mở khóa tại cấp độ 3 (trước đây là 4), và nay có thể dùng miễn phí (thường tốn 2 mana). Tăng đáng kể sức mạnh và tính sát thương của Bộ Xương Người Khổng Lồ. Khả năng mới, Mở khóa tại cấp độ 4. Gazul rất giỏi chỉ huy đội quân xương trong trận chiến. Khi anh tới chiến trường, toàn bộ các đội quân đồng minh Marauders, Ravagers, Stalkers, Acolytes, Occultists, Warlocks và Pikemen đều tăng điểm sát thương và điểm sức mạnh tối đa. Khả năng mới, Mở khóa tại cấp độ 5. Sức mạnh bất tử của Gazul tăng thêm sức mạnh cho các đơn vị quân thây ma bên cạnh anh. Khi anh ở chiến trường, tất cả các đơn vị quân thây ma đồng minh đều tăng điểm sức mạnh tối đa theo tỷ lệ nhất định. Tăng nhẹ tính sát thương. Tốn 5 mana (trước đây là 3). Lưu ý của nhà phát triển: Là anh hùng gọi hồn duy nhất, chúng tôi muốn nhấn mạnh khả năng của Gazul trong việc lãnh đạo đội quân thây ma. Để đạt được điều này, chúng tôi đã bổ sung thêm hào quang khả năng “Quyền Lực Bộ Xương” và “Sức Mạnh Bất Tử”. Đồng thời chúng tôi cũng giảm nhẹ khả năng hoạt động “Roi Vô Hồn” của anh. Giảm tính sát thương. Tốn 5 mana (trước đây là 3). Lưu ý của nhà phát triển: Là khả năng kiểm soát đám đông quy mô lớn với tính sát thương cao, “Cuốn Sách về Sự Sáng Tạo” có ảnh hưởng lớn tới sự cân bằng. Sau khi tổng hợp nhiều nguồn thông tin phản hồi, chúng tôi đã quyết định giảm bớt khả năng này. Wraxius chỉ có thể dùng khả năng Nổ Tung Linh Hồn sau khi mang lồng đèn vào trận chiến. Không triệu hồi khả năng—có thể sử dụng khả năng ngay khi mang lồng đèn vào trận chiến. Tăng đáng kể tính sát thương và sức mạnh của linh hồn. Tốn 4 mana (trước đây là 3). Mở rộng gấp đôi khu vực bị giăng mạng nhện. Khả năng mới, Mở khóa tại cấp độ 4. Khi Grimms ở chiến trường, tất cả các vũ khí bao vây của mọi đội quân đều tăng điểm sát thương và điểm sức mạnh tối đa theo tỷ lệ nhất định. Mở khóa tại cấp độ 10 (trước đây là 5). Khả năng mới, Mở khóa tại cấp độ 3. Khi Gafgar ở chiến trường, tất cả các đơn vị quân cơ khí đều tăng điểm sức mạnh tối đa. Mở khóa tại cấp độ 4 (trước đây là 5). Giảm tính sát thương và thời gian. Cho phép mọi khả năng của Nora được chú hai lần, và khi nâng cấp thì giảm thời gian hồi chiêu thần chú của Nora. Giảm đáng kể số lượng ammo sử dụng, giảm tính sát thương của từng viên đạn, và khi nâng cấp sẽ tăng thời gian phun lửa. Lưu ý của nhà phát triển: Trước đây dùng Bão Lửa sẽ tốn nhiều ammo đến nỗi Jacques không còn đủ ammo để tận dụng tối đa các khả năng khác của anh. Thay đổi này đã giúp giải quyết đáng kể các vấn đề đó. Các điều chỉnh được thực hiện cho thời gian phun lửa và tính sát thương của từng viên đạn tăng thêm độ sâu chiến lược bằng cách khiến cho người chơi suy nghĩ nhiều hơn trước khi quyết định dùng. Giảm tiêu tốn ammo và giảm nhẹ tính sát thương. Tính năng mới đặc biệt. Trước đây khi học “Lời Chúc Phúc Man Rợ”, số đội quân mà Bane có thể dẫn vào trận chiến đã giảm 1. Điều này nay đã được đổi thành một tính năng đặc biệt: Bane chỉ có thể dẫn 1 nhóm quân vào trận chiến. Mở khóa tại cấp độ 1 (trước đây là 2). Nay có thể dùng miễn phí (trước đây tốn 1 Năng Lượng). Không còn giảm nhẹ mọi sát thương khi dùng mà chỉ giảm nhẹ sát thương cơ thể. Mở khóa tại cấp độ 2 (trước đây là 1). Tốn 1 Năng Lượng (trước đây là miễn phí). Tăng gấp đôi tính sát thương. Không còn giảm số đội quân mà Bane có thể dẫn vào trận chiến, và không còn tăng giới hạn Năng Lượng. Thay vào đó nay sẽ tăng Sức Chịu Đựng và giảm nhẹ sát thương cơ thể. Lưu ý của nhà phát triển: Điều khiến trở nên Bane đặc biệt là khả năng tự lực cánh sinh và thực tế là anh không cần đội quân hỗ trợ để chiến đấu hiệu quả. Để phản ánh điều này, chúng tôi đã tiến hành tinh giảm đội quân vào một tính năng đặc biệt và tăng các thuộc tính của anh.